The Report(PDF) is now available. Perhaps we should take some of that good Exxon money Buck mentioned and totally sell out for like, 10,000 dollars. That would be awesome. I will try to read it thoroughly, I think some of the data they've included speaks for itself. 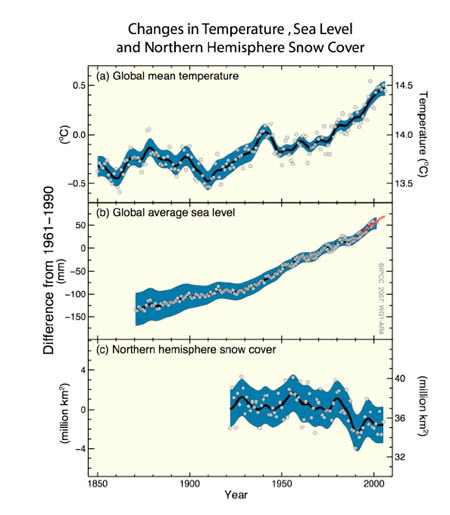 Then there is the global mean temperature increases (the measure of global warming), sea-level increases, and snow cover decreases over the last 150 years or so. The projections of temperature increases are pretty depressing. 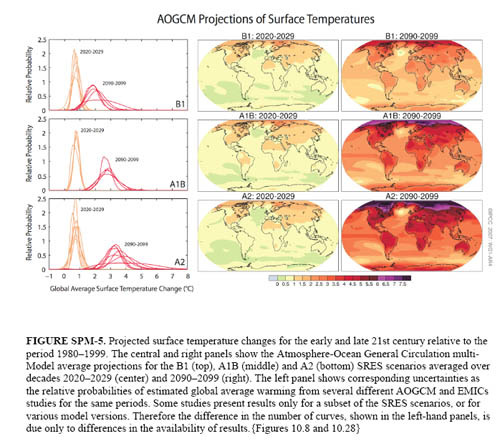 Finally, the projections of global mean surface temperature according to the human response to the crisis. Different models are based on different responses to curbing global greenhouse gas emissions, so far, despite attempts to confuse the graph by denialists like Pat Michaels, these models have held up. From what I understand we tend to travel along the blue-line. The last and most-depressing statement from the report I'll mention? 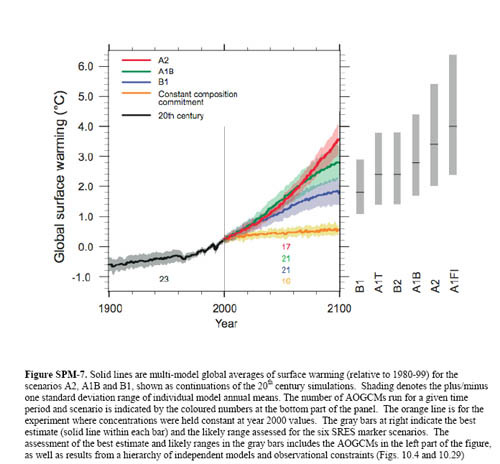 Both past and future anthropogenic carbon dioxide emissions will continue to contribute to warming and sea level rise for more than a millennium, due to the timescales required for removal of this gas from the atmosphere. Time to get off our asses and do something about this. 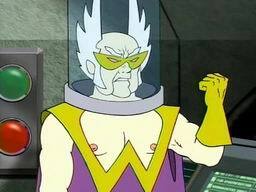 Luckily some Democrats have expressed an interest. For a better understanding of the science involved, I'd direct everybody to the Real Climate discussion on the IPCC report. This is just a summary right now, but the final full report will be available in April. Hi, I also have a post up on the IPCC at my blog, "Head in a Cloud"
I agree with your post on Real Climate, I think you may have found an error. It's kind of amazing with that many eyes looking at it that they may have made such a simple adding error. He-he. I'm glad to see some discussions of social impacts and economics. Follow the link. Ayn Rand got misty-eyed at the very thought of smoke coming from an industrial chimney. And no that is no metaphor, that was an actual event from an actual interview. Bruce Webb is one of the better commenters on that site. Note the date of this quote -- circa '71 -- she's debating by proxy of the seminal ecological piece that academics started discussing (tragedy of commons). Good riddance to bad trash. The libertarians bear responsibility for the ecological disaster as much as anyone, if not more.